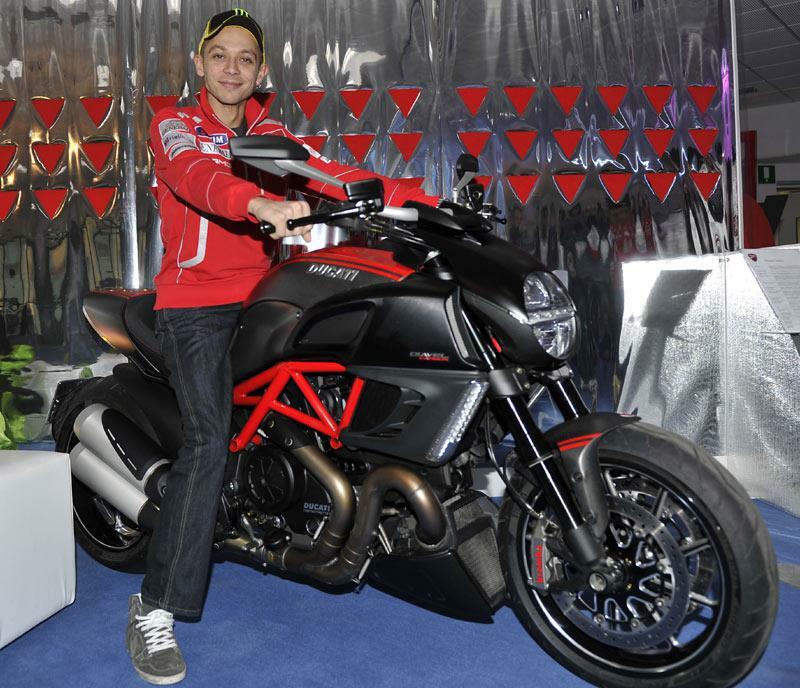 Ducati - making the most of finally getting Valentino Rossi in Ducati colours - got the most successful MotoGP rider of all time to pose on the new Ducati Diavel Carbon as it launches the 2011 MotoGP team. It’s not clear if Rossi will be ordering a new Diavel to ride while he is at home in Italy as he normally favours a big scooter… not a machine Ducati currently makes. Rossi was kept under Yamaha contract until December 31 so this team launch has been the first time the Ducati PR machine has been able to get to work. 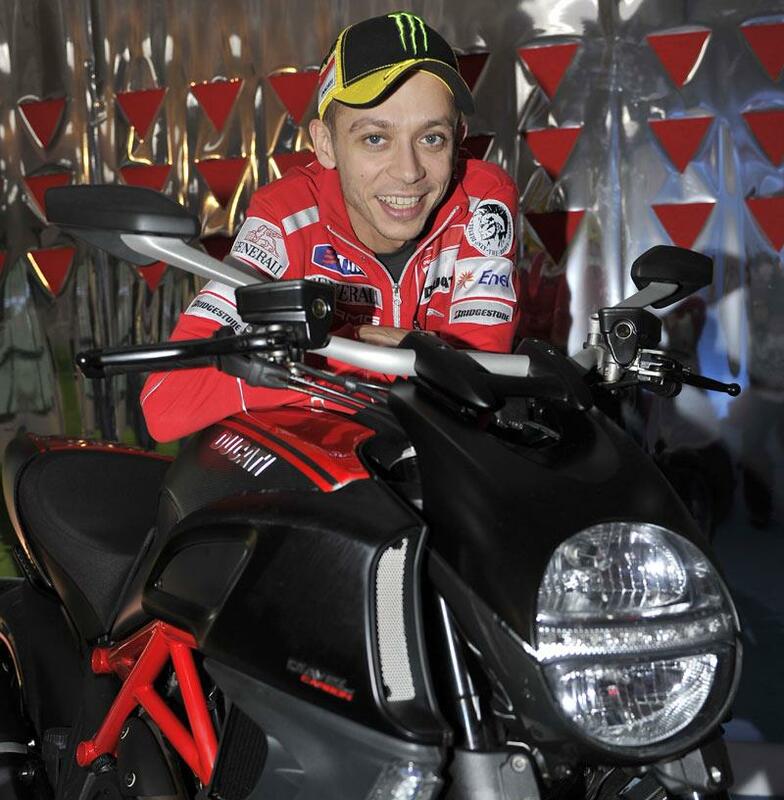 The new 2011 factory Ducati Desmosedici will be officially unveiled tomorrow (Wednesday) as part of the traditional Ducati and Ferrari launches at the Madonna di Campiglio ski resort in Italy. What do you make of the Ducati Diavel? "Built for riders who have a stack of cash in the bank, like the finer things in life and love doing skids and wheelies"